1) Add the City of Brotherly Love to the long list of over 470 municipalities with new Draconian smoking bans. Philadelphia Mayor John Street signed the bill yesterday, effectively imposing the tyranny of the majority on all restaurants and most bars. But that’s not the only bad news out of the Keystone State. The Allegheny County Council recently proposed a smoking ban that would force its anti-smoking agenda on all restaurants, pubs, and cigar bars in Pittsburgh – prompting some intelligent opposition from the nation’s capital. 2) Speaking of Pittsburgh, the Pirates’ PNC Park is where the New York Mets plan to clinch their division title tonight. While not every Stogie Guy is a Mets fan, we can all appreciate how manager Willie Randolph is planning to celebrate: lighting up a Fuente Opus X Forbidden. 3) We can’t personally recommend Quintero cigars (because they’re brand new and we haven’t tried them yet), but we nonetheless thought it was worth sharing this deal with Stogie Guys Nation. At only $2.50 apiece, how can you go wrong? 4) In our last Friday Sampler, we told you about how Colorado’s statewide smoking ban was thrust upon citizens and private businesses by the state government on July 1. Well, Orios – a bar in Durango, Colorado – recently became the first establishment to be charged for violating that law. The crime? Public officials say, despite statutory exemptions for bars with 5 percent sales or more from tobacco, Orios’ lack of an on-site humidor – for whatever reason – does not qualify it to allow smoking. 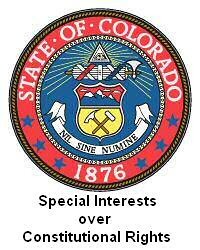 If the Colorado government didn’t plan to grant exemptions, why write them into law in the first place? In fact, why not just ban everybody from smoking anywhere at any time? I’ll tell you this: If I ever find myself in Durango, I’m heading to Orios and lighting up a fat one. 5) Our contest to give away two free tickets to Cigar Artisans 2006 at the Seminole Hard Rock Casino in Tampa, Florida on Saturday, September 30 ends today at 5 p.m. EST…so make sure to get in your submission as soon as possible. I really like this Friday Sampler style. I get updates on news, info on great deals, thoughtful commentary…all in a quick-read format. Keep up the good work! Just an update on the proposed smoking ban in Allegheny County. The ban was passed but was vetoed by the County Executive even though the County Executive is in favor of a state wide ban. Ultimately the County Executive vetoed the bill because they have new casinos in Allegheny County and state law makes casinos exempt from any smoking bans. A lot of small business complained that they wouldn't be able to compete so the County Executive vetoed the bill. 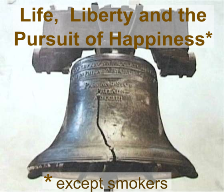 There were some legal issues too…according to PA State Law local governments cannot pass smoking bans unless they have a certain population size. Allegheny County did not meet that size so there were some legal disputes going before the County Executive vetoed the bill. More info can be listened to in Episode 21 of the Blowin' Smoke podcast.